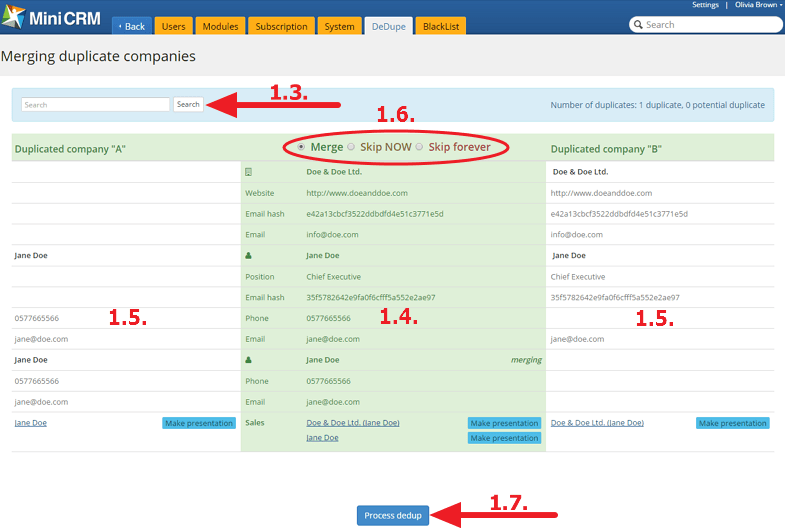 Admins can merge companies and private individuals that are recorded twice on the Settings [1.1.] > DeDupe [1.2.] page. By opening the page, the system searches for duplicate contacts, displays their number and lists 25 of them. You can also search for a company/private individual by using the Search field [1.3.]. You can see duplicate data in the middle [1.4. ], and on the right and left sides you can see the current status [1.5.]. By merging, the companies/private individuals that are on the left and on the right sides will become one. Their cards and contact persons will be added to the merged companies and private individuals. After selecting an action by each client, click on the [Process dedupe] button [1.7.]. After performing the selected actions, the system shows the result and automatically searches for further contacts and lists again 25 of them. 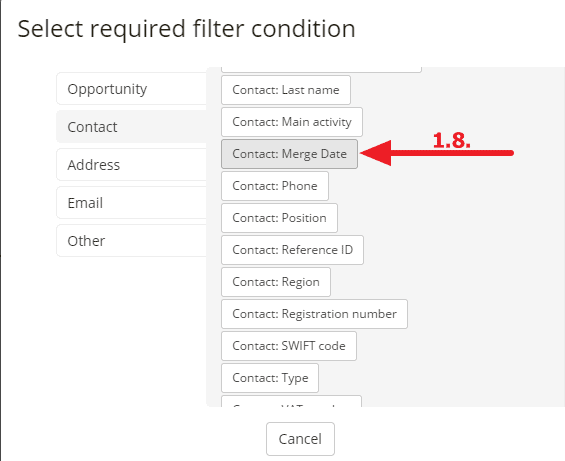 Later you can filter duplicate contacts by choosing the Contact: Merge date [1.8.] condition.